We just switched to Samaritan last year! They a blessing! My husband and I felt called to use Samaritan Ministries several years ago. We were getting “great” health coverage through his job at a university, but we were unhappy with the direction the health insurance industry has been heading. In 2017, Mike, my husband was in a hit and run accident on his bike while riding to work. He broke the pelvic bone in his hip, and developed a blood clot in the injured leg. Since the driver of the car was never located, all of the bills would have been our responsibility, but since we’re Samaritan members the shares we received paid everything in full. There were 3 emergency room bills (he had to be transferred to a bigger hospital after spending 8 hours in our local ER, then a 3rd ER trip for the blood clot), a medical transport bill, x-rays, a CT scan, and a weekend stay in the hospital, plus subsequent visits to the specialist treating the fracture. (Fortunately, he didn’t need surgery.) I don’t remember what the total cost would have been, but with insurance we would have paid 80% of it, I believe. We were SOOOOO blessed to have our need completely taken care of, but the biggest blessing was the notes that came with the checks, knowing that so many people were praying for Mike and our family. The amazing answer to prayer is that at the last visit to the orthopedist, he couldn’t immediately tell that there had ever been a fracture when he looked at that x-ray! He had to check the name on the film to be sure he had the picture from the correct patient. Almost exactly 2 years later, Mike only suffers occasional joint pain in that hip, and we had thought he may never walk without a cane! We have witnessed how God is truly our Healer and our Provider. 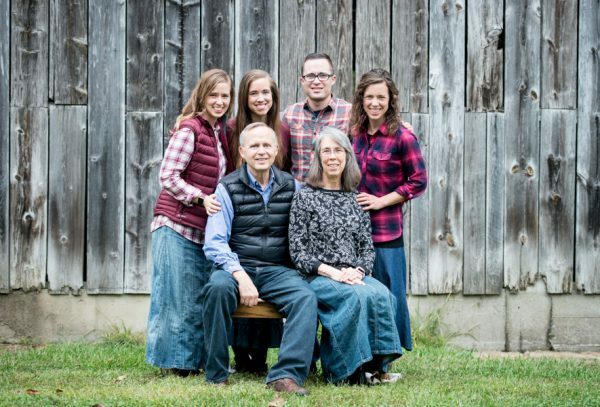 What a wonderful testimony about Samaritan’s Ministry caring for the needs financial and spiritual after your husband’s accident, and even that the Lord led you to Samaritan’s when He did. Praising God for His protection of your husband’s life in the accident and now in his healing. Thank you so much for sharing that with us. We have been Samaritan members for over 4 years now and it has been truly incredible for us. My high risk pregnancies tend to cost around $35,000, and they have been completely covered! Many of our providers/procedures did not even take insurance, so we would have been out significant money had we had regular insurance. Not to mentio the co-insurance, deductibles, and major hassle with regular insurance. We are free to go to any provider and not have to worry about whether they are “in network” or not. Samaritan actually prays with you over the phone when you turn in your need! We received so many cards from people all over the country telling us they were praying for us. When my baby daughter had hip dysplasia, they again covered everything and I have kept those cards for her as a testimony of God’s people praying for her healing! We have seen bills reduced significantly with cash pay discounts as well. When my husband had an ER visit due to kidney stones, that one bill alone was over $5,000. However with discounts for paying cash and not going through insurance companies, that bill was reduced to $800! And again, every dime was covered through Samaritan. 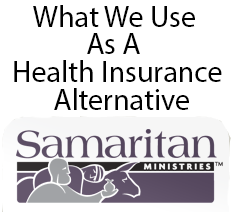 We frequently tell people that Samaritan has been such a HUGE blessing in our lives that we would not switch back to regular insurance even if the premiums were free! I could go on and on. We are so grateful for Samaritan Ministries!! Wow, Dessiree, what a blessing your Samaritan’s testimony is. Amazing! So wonderful! Praise the Lord and thank you Samaritan’s for truly being a ministry to/for the body of Christ. Here in Germany it’s a totally different situation. Everybody has to have an insurance and it will usually pay everything (except some dentist things and glasses). They have to pay everthing by law, also abortions (there was one little insurance that would not but it was declared illegal). People really rely on the social system here and that really creates a very demanding and discontent attitude in the people and makes them less responsible for their own lifes and more dependent on the state. Interesting to hear about your health care/insurance in Germany and your personal perspective on its outcome in individual people’s lives. We haven’t been able to use Samaritan, as both my husband and I have several pre-existing conditions. We are healthy with regular treatment, but we wouldn’t be able to function without the treatment; my husband’s issues in particular would not live long without his treatment. As we were both born with these conditions, we trust that God knows what He is doing with them. And the Lord has been so good to provide my husband with a wonderful job whose health insurance covers the vast majority of our medical expenses, beyond small co-pays. What would cost us $5,000 a month for medications only costs about $100. We also paid nothing, not even co-pays, for both pregnancies and deliveries. We are especially grateful for the Lord’s provision here as our eldest son seems to have inherited one of my husband’s conditions. We recently had to have an ambulance take him to the hospital in fear for his life, but the Lord took care of him and will take care of him as we and our son’s doctors develop a treatment plan. Thank God that He has provided so many options for health care to meet the needs of all His children. Yes, pre-existing conditions not being covered certainly limits those who could consider Samaritan’s. So glad your husband has a job that provides the health insurance that meets well your needs. I’ve been interested in joining Samaritan for a long time. But from what I understand it doesn’t work well for people who have constant, ongoing medical needs. I have a daughter who was born with brain malformations and she has severe developmental disabilities and she needs weekly therapy and daily medications to control her seizures. From what I understand they wouldn’t cover any of this. What do you think? Do you know of families with special needs children who use Samaritan or does it work better for families who don’t have any severe needs? Thanks. Because of your daughter’s pre-existing condition and needs, my understanding is that Samaritan’s wouldn’t cover bills related to those conditions. Plus they only cover 120 days of medication for a specific condition so if you are diagnosed with diabetes or high blood pressure while on Samaritan’s and need ongoing medication, they only cover 120 days. I am not fully aware of how Samaritan’s deals with expenses of a child who is born with special needs to a current member. I am sure the information is on their website and could be found out by calling them, but for you it wouldn’t be applicable anyway. There is something else I wanted to mention about pre-existing conditions and perhaps ongoing medications that Samaritan’s doesn’t cover past the 120 days. Every month when the newsletter comes with our share notice, there is the option of giving extra to help with needs that is not shareable. It will tell us if everyone gave $20 or $30 more a month, those needs that aren’t shareable would also be covered. We are given a list of two or three specific ones that or we can give in general. So it seems to me that Samaritan’s is trying to help its members with medical expenses they incur that aren’t shareable. I remember reading a testimony in the newsletter from someone who said their needs that weren’t shareable were completely covered by the special needs giving. But I don’t know overall how that comes out for most members who turn in un-shareable needs that are then mentioned in the special needs section. Talking to Samaritans and going to their website is the best way to get accurate information about their program. 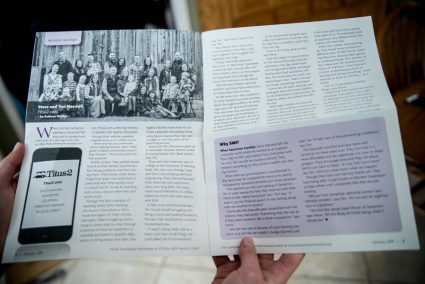 I met with a representative of Samaritan’s purse at a homeschooling conference, who was so nice and answered all my questions about cost sharing. I would love to join it except that I am military dependent and have basically free insurance. But I rarely use the insurance benefits since I see a chiropractor and natural doctor. I was delighted to hear that Samaritan’s will cover chiropractic as well as any type of birth! The military insurance did cover my home birth 100 percent so that was good. But I hate so many things that it will cover! And I do not believe in insurance for healthcare after much research . . . Yes, when your healthcare is covered by the military something else wouldn’t make sense. For some reason I think chiropractic is limited with Samaritan’s so that they cover it for a season after an injury or accident, but not on an ongoing basis. I know they cover some chiropractic during pregnancy since my daughters-in-law have had that need. If anyone is interested in Samaritan’s, it is good for them to do what you did, ask questions of Samaritan representatives themselves and read information on their website. We have been members of Samritans Ministry for about 10 years and they have been consistently a blessing. All my maternity meeds have been covered plus some individual family needs a long the way. They are very reasonable to work with and are helpful. They are an amazing blessing from God. In the monthly prayer letter, I am amazed at how many of the days’ prayer listing is for a pregnancy or birth of a baby. Certainly many young families in Samaritans. We use Samaritan’s ministries. I think we may have heard of it from yall!